i have officially started (fine art) painting again. 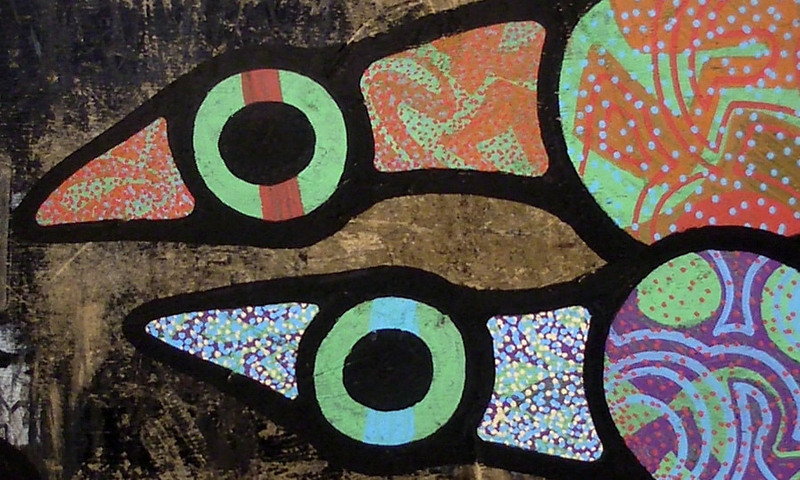 this piece was inspired by the outline work of norval morrisseau. i used the graf type fill with woodlands colors to create a fusion that works well. 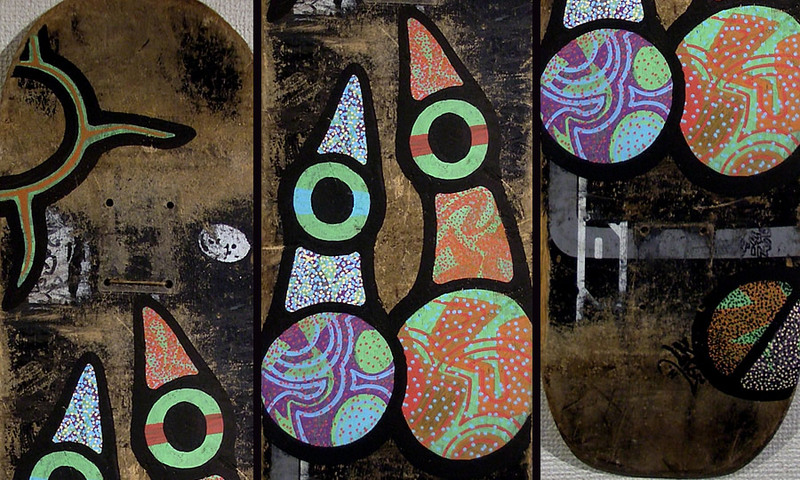 i really like the weathered and worn wood surface of this deck, a rare well-skated condition that is perfect for this type of art. i need a sponsorship for posca-uni and some more old decks cause i got more ideas where this came from! this signed original work is currently available, unframed and ready to hang. Posted in art.design.life.Tagged art, design, feature, graf, illustration, paint.